Prague is the largest city in Czech Republic and one of the most visited tourist destinations in Europe. Situated on the Vltava River that traverses the Czech landscape, Prague is a spectacular city entrenched in history and culture, and is home to some of the most varied collections and pristine architectural structures in the world. This city is also home to the famous Astronomical Clock, believed to have been installed in 1410 making it the oldest working astronomical clock in the world! Festive attractions are also common in Prague, attracting millions of foreign and local tourists every year, so if you’re thinking of spending Christmas in the Czech capital, let’s take a look at some top festive attractions! 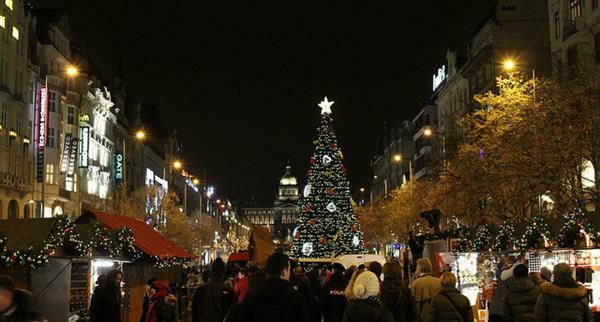 The historical Wenceslas Square in Prague’s Old Town plays host to hoards of tourists who flock here during the festive Season for shopping and celebration. The gorgeous wooden huts that are erected on this legendary square act as shopping stalls, selling traditional Czech handicrafts, jewelries, puppets, Christmas trees, dolls and scented candles to spice up your festive celebrations. Furthermore, it is here that you will also get a chance to experience some of the traditional Czech cuisine available at the numerous pop up restaurants! This world famous bridge connects two great towns in the City of Prague, making it one of the most visited architectural structures in the Czech Republic. Charles Bridge connects the Lesser Town to the Old and New towns making it an integral part of the region, and it is estimated that three out of every ten visitors visiting Prague use Charles Bridge at least once during their time here. The breathtaking view of the Vltava River, Prague Castle and the historical Lesser Town area all within close proximity to Charles Bridge, and don’t forget to bring your camera to capture those great family photos! 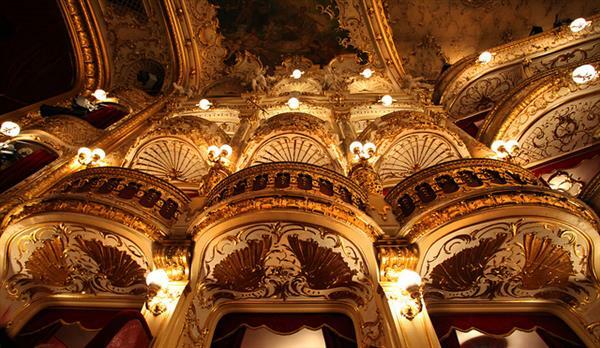 The Prague State Opera, situated in one of the charming locations in the city, is one of the best attractions a tourist can experience. The classical concerts and ballet, with a great Italian repertoire that include Rossini, Verdi, and Puccini, form a perfect mode of entertainment as you tour Prague for Christmas holidays. Additionally, this Opera is regarded as one of the finest in Europe, so a visit to this wonderful performance theatre during the festive season will prove to be worth every Crown. If this sounds like your idea of a perfect Christmas, have a look on cheapflights.co.uk for cheap deals, as there are plenty of amazing offers to be found! Prague Zoo is home to more than 600 different animal species, and the prestigious Forbes Magazine listed this zoo among the best to experience in the Czech Republic. It’s believed that the total number of animals in this zoo exceed 5,000, making it one of the biggest zoos in Europe. There’s no doubt that visiting this zoo with your family will provide an unforgettable experience as you tour Prague during Christmas, and there’s even the opportunity to have an up-close encounter with animals like the giraffes, penguins and zebras! Stay a few extra days and enjoy New Year’s Eve in Prague, you will not soon forget it! For admiring the fireworks dispaly at midnight, you can either go to a spot overlooking the river like a boat, the sides of the river near the Charles Bridge. You can also get a good view at a high spot by the Prague castle. You will see people filling up the decks of river boats, along the river banks and out on terraces and outside restaurants. Another choice would be the Wenceslas or Old Town Square. Don’t forget, you always have the option of getting on one of the river cruises, options include jazz crises and party boats.